All Stroke Correction includes Video Review to provide on the spot analysis. We teach adult learn to swim, we correct rookie swimmers’ strokes & make good swimmers faster by making subtle stroke changes! Book in with Spot and let him teach you what he has learned throughout 30(+) years of coaching! Correct breathing is addressed before any other stroke correction is undertaken. If you can't breath properly you won't be able to swim very far! Often people need more than one lesson so if you feel like you have only scratched the surface on your first lesson book in for more! Breathing: many swimmers DO NOT breathe correctly so we will fix this first if this is you! Body Position: it's important to get high in the water & this stage includes head position! If you have read the books about head position Spot's views may surprise you so bring an open mind! Hand Entry: this phase includes arm recovery as we are now setting up the pull part of the stroke! It's important we get your hands in the correct position before commencing you pull otherwise you are not getting the power you need to swim fast! Stroke Pull: this is the "money" part of the stroke & what gets you through the water faster! We have set up your entry & corrected your "catch" & it's time to pull yourself through the water! Swim Drills: we have drills for working on any part of the stroke so get ready to practice one or more of these! - Monday & Wednesday 4:45pm. * Mornings - free parking on Chalmers St before 8am & in side streets off Chalmers. * Night/ Saturday afternoon: free 1 - 2 hour parking in side streets off Chalmers St or metered parking available on Chalmers St.
* Saturday arvo if busy parking travel south along Elizabeth past Cleveland St to park! If none turn right into Redfern St & right again into Chalmers St & should be parks before Cleveland St (only 400m walk from here). It's all FREE parking! 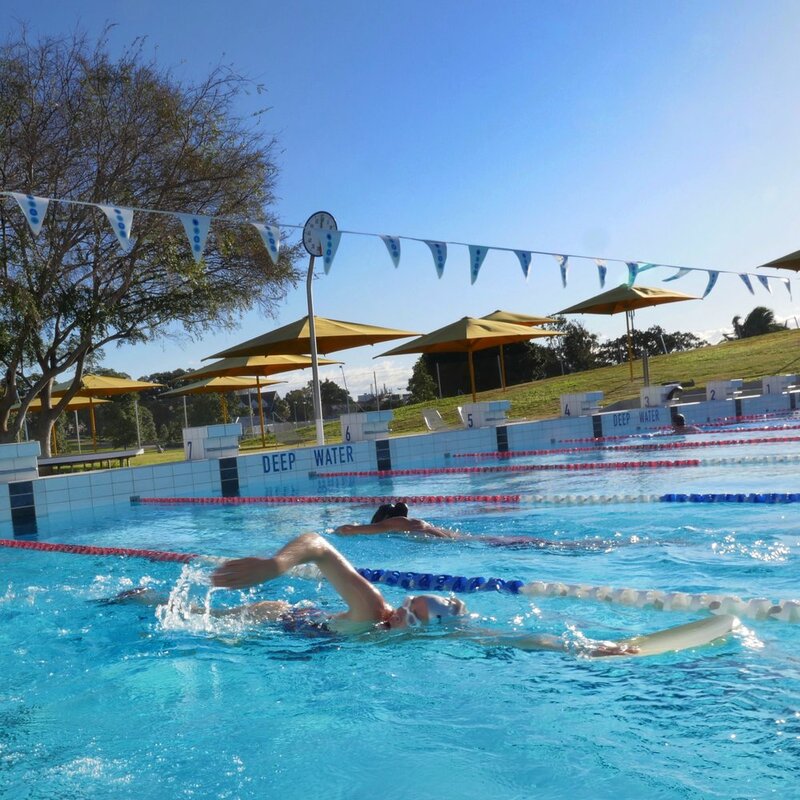 Visit Pool website here for all pool entry/ memberships & note pool entry is not included in our fees.